We are pleased to announce the CiteScoreTracker for Applied Materials Today is 5.43 (updated January 5th, 2017). CiteScore is a new standard that gives a comprehensive, transparent and current view of a journal’s impact. CiteScore metrics calculate the citations from all documents in year one to all documents published in the prior three years for a title. The next annual CiteScore calculation is scheduled for Spring 2017. 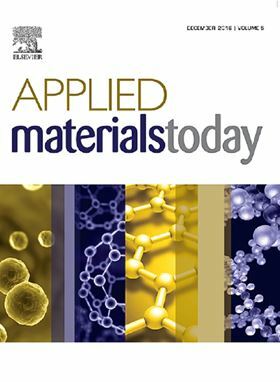 Applied Materials Today is a multi-disciplinary, rapid-publication journal focused on cutting edge applications of novel materials. The latest CiteScoreTracker value demonstrates the high quality of the original research articles and reviews published in the journal. More information on CiteScore metrics can be found here. To submit to Applied Materials Today, visit the journal homepage.